By the end of 2016, roughly one in four IBM employees will use a Macintosh computer. The tech giant, which employs 400,000 people, bought and provisioned 90,000 Macs since it started to support Apple laptops in June 2015. 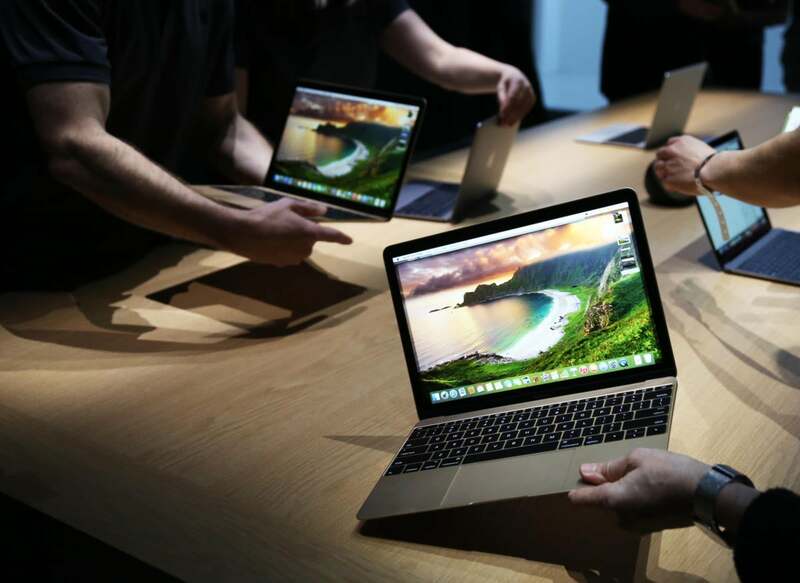 It expects to have at least 100,000 Macs deployed by 2017. IBM now has the largest enterprise Mac deployment in the world, and it is Apple's biggest business customer for Macs, according to Mac maker. Apple declined to provide details on the other leading enterprise Mac customers, but SAP, Kelly Services and Intuit are among the company's most recognizable clients. In total, IBM says it manages 217,000 Apple devices for its employees today, including those 90,000 Macs, 81,000 iPhones and 48,000 iPads. Every Mac IBM purchases for its workforce saves the company between $273 and $543, depending on the model, versus the total cost of ownership of comparable PCs during a four-year lifespan, according to IBM. The upfront cost per Mac is typically higher than a PC, but the residual value for Macs is higher in the long term, the company says. While IBM welcomes the costs savings, it insists the Mac@IBM program strives for loftier objectives. "The goal here is not a cost take-out program," said Fletcher Previn, vice president of workplace-as-a-service at IBM, who spoke about the Mac@IBM program at this week's JAMF conference in Minneapolis. (JAMF makes mobile device management software for Apple products, and it also works with IBM.) "The goal is to delivery an employee choice program and to at least aspire to have the greatest Mac program in the world … We think the Mac is a great vehicle for reinforcing the culture changes we want to have within IBM." Giving employees a choice between Macs or PCs also fosters a different model for IT delivery at IBM, Previn said. The Mac@IBM program is separate from the partnership that Apple and IBM struck in July 2014 to create the MobileFirst for iOS initiative, but IBM might not have made such a massive investment in Macs without that wide-ranging agreement in place. IBM benefits from its Mac program in myriad ways that create a new dynamic between the company's IT group and its employees. "We are starting to see a very different ecosystem evolve," Previn said. "If you make it simple and easy to use for people, they'll pull it from you. You don't have to push it on them." Previn also sees a "stark difference" in the way IBM deploys, manages and supports Macs compared to the traditional PC environment. The purchase-to-deployment process for PC laptops, for example, requires at least five steps more than a Mac, he said. Before IBM provides a PC to one of its employees, the company buys it from Lenovo, ships it to an IBM office where IT staff preloads software and a corporate image on the hard drive, and then ships the device to a warehouse where it might depreciate or become outdated before it gets sent to an employee, Previn said. "All of that is activity that we don't have to do in our Mac program because we're buying the exact same Macs that you would buy in a retail store, and we can just drop-ship them to employees when they need them," he said. This relative simplicity of Macs has caused IT leaders within the enterprise, including Previn, to question the status quo on multiple fronts. "I don't have a corporate image for my phone, why do I need a corporate image for my laptop? Can I manage my laptop the way I manage a mobile device?" he asked. Previn says it took IBM about six months of engineering work to come up with a solution that doesn't require an image for Macs. Macs represent about 15 percent of all laptop computers deployed within IBM — the company also manages 442,000 PCs and 72,000 Linux machines — but only 5 percent of IBM's IT helpdesk is dedicated to Macs, according to Previn. He says the average PC user drives twice the number of support calls compared to Mac users, and 27 percent of PC-related issues require in-person assistance versus 5 percent for Macs. Those factors mean PCs are three times more expensive to manage than Macs at IBM, he said. A global staff of just 50 people supports the entire Apple footprint at IBM, or a total of 217,000 macOS and iOS devices, Previn said. IBM currently deploys about 1,300 new Macs every week, and that level of growth is "not translating to a need to scale the help desk in a linear way," according to Previn. The Mac@IBM program has "materially demonstrated to our population that we were thinking differently about the way we deliver IT services and really taking a user-centric approach," he said. "We take significant care to make sure that we're not imposing IT policies that kind of unravel the Mac experience."